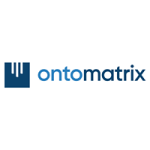 Ontomatrix is a full service digital marketing company that takes the time to understand your business and create a strategy to accomplish your commercial objectives. We are a team of highly experienced individuals with a number of years in the field of digital marketing. We help SMEs to harness the extreme power of digital marketing by studying their business, performing digital transformation and creating an online presence for them to increase leads, returns on investment, grow sales and support goals with their existing customer base. We are a full service digital marketing agency and our services include: paid search marketing, search engine optimization, social media marketing, website optimization, content marketing, reputation management, e-commerce web development, marketing automation and data and insight services. Our goal is to ensure that our clients’ online presence has the necessary competitive edge when they engage in their line of work whatever their industry maybe. Corporate social responsibility (CSR) is one of our best practices that represents policies, practices and initiatives we commit to in order to govern us with honesty and transparency and have a positive impact on social and environmental wellbeing. Our primary focus of CSR is ethical labour practices which treats employees fairly and ethically. Ontomatrix, an innovative digital marketing agency which provides complete solution for digital marketing needs including SEO, Adwords, Social medica, content marketing, email marketing, inbound marketing. An assured company for online marketing service with proven results.